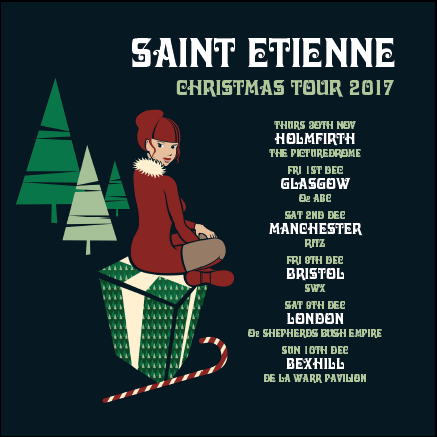 Christmas just isn’t Christmas without some Saint Etienne live shows. So, we’ve decided to visit a few places around the UK we didn’t reach on the Home Counties tour plus a couple of different venues in places (London and Manchester) that we did. We’ll be playing a selection of songs from Home Counties alongside hits, misses and festive favourites. Tickets are on sale now via the links below.